Now through March 31st, 2019 With a 2-night minimum stay, Sundays thru Thursdays! Book one night at our regular low season rate and get 25% off All subsequent Weeknights! 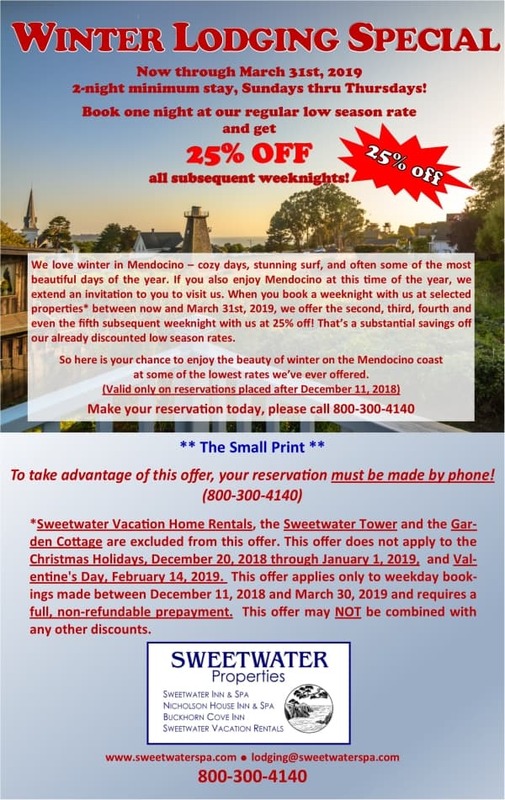 So here is your chance to enjoy the beauty of winter on the Mendocino coast at some of the lowest rates we’ve ever offered.